Are your favorite retiring products still available? I made a Mint Macaron card with the Botanical Builders Framelits Dies a few posts ago, because I fell in love with Mint Macaron when it was introduced last year. Today I made these cute boxes to match the card I made earlier. 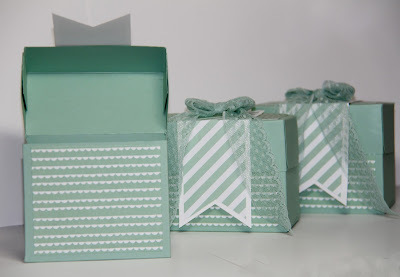 I used Mint Macaron for some of the box bases and some white DSP for 3 other boxes. 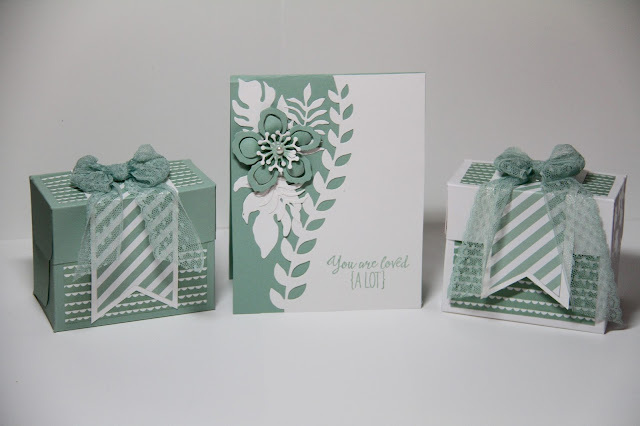 I also made another set of boxes using some retiring Color Me Irresistible Specialty Designer Series 12 X 12 Paper as the base. I'm working hard to clear out some of my beloved old stash to make room for the new catalog items. I got up at 3 am on Tuesday morning, when demonstrators we able to begin placing pre-orders from the new catalog, to place my pre-order so I'll have samples to begin showing you soon! These are the perfect size box for small treats and I plan to fill them with dried fruit and ship them to my mom, who loves dried fruit and nuts. 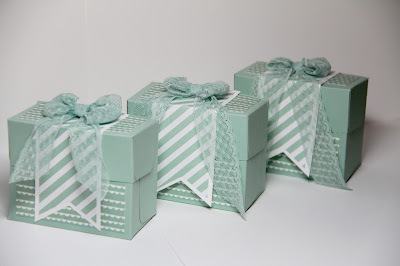 I purposely didn't add a sentiment to the boxes to show you how versatile these little boxes can be. These beautiful little boxes couldn't be easier to make using the Gift Bag Punch board. 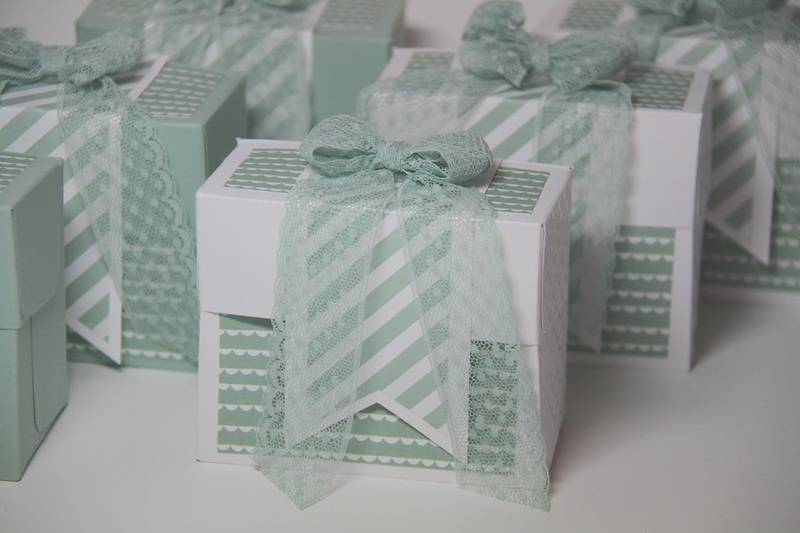 Begin with an 11-3/8" X 6-3/8" piece of Mint Macaron card stock. Using the Simply Scored Scoring tool, score along the long side at 1-3/8, 3-3/8, 6-3/8 and 8-3/8. Turn the Mint Macaron card stock and score on the short side at 1-3/8 X 5". Switching to the Gift Bag Punch Board, along the long edge, line up the score line with the score nozzle and punch. Move to the next score line (3-3/8) and align with the score nozzle and punch. Move to the third score line(6-3/8) and punch. Move to the 4th score line (8-3/8) and punch. On the longesr edge, line up with the nozzle and punch. Now, flip the Mint Macaroon piece over and align and punch on the four score lines again -- 1-3/8, 3-3/8, 6-3/8 and 8-3/8. 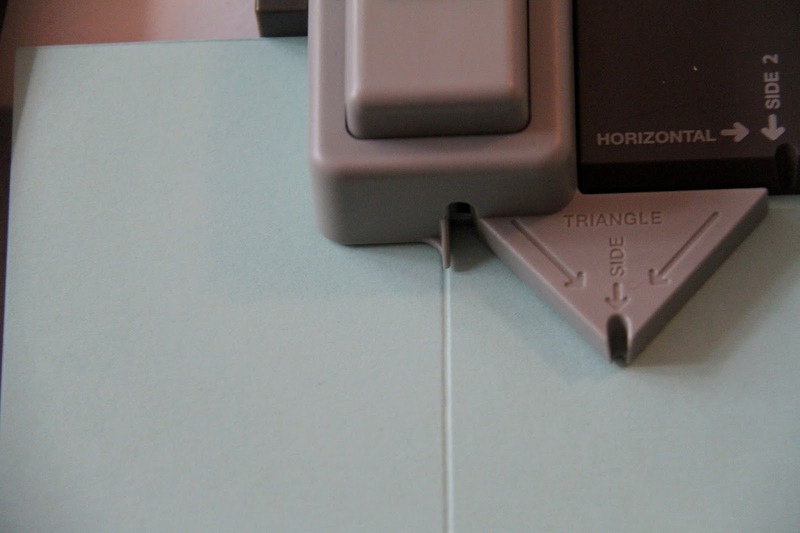 Also align the longest edge and punch causing a rounded corner. Beginning folding the box at the score lines and crease them with a bone folder. Using strong Tear & Tape Adhesive, overlap the box sides and glue the bottom of the box and then the lid portion of the box together. Then use the Banner Punch to create the striped banners. I used one of the patterns (stripes) from the 2014-2016 Designer Series Paper Stack and it is mounted on a sightly larger piece of Whisper White cut one size larger using the Banner Punch. 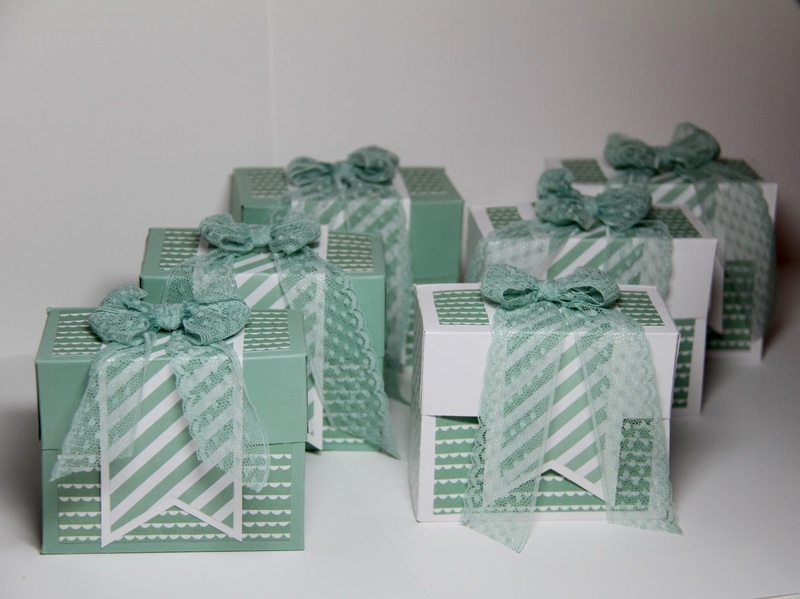 Here's what the little gift boxes look like next to the matching card. Aren't they yummy? The retiring list has been announced and retiring products are going fast, including some of my favorites. However, its a great time to pick up some bargains. Some retiring products are discounted up to 50%. Demonstrators have already gotten a peek at the new catalog, and its great. However, prices on 8-1/2 X 11 paper packs are going up. If you need any of the existing papers, you'll want to order before May 31. You'll be able to purchase the new In-Colors on June 1 when the new catalog goes live. I'll have my preorder this week and I'll post samples as soon as I receive them. 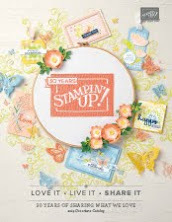 Customers who have placed an order this year are already on my mailing list for new catalogs. 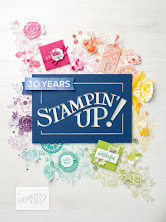 Shipping of new catalogs will begin direct from Stampin' Up! for my existing customer in the next week to 10 days. I also placed a bulk order for new catalogs, which will arrive shortly. If you want a copy sent to you, place a $50 order with me as your demonstrator, and I'll send you a catalog as soon as my bulk order arrives. 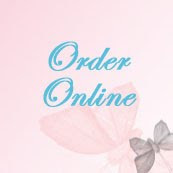 Want to purchase at a discount? 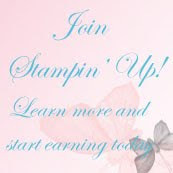 Sign up for $99 and get $125 worth of product in your starter kit. Download a 2015-2016 Annual catalog. Place an order for $50 and I'll send you a new 2016-2017 annual catalog in late May.